On May 15 at 4 p.m., at the Centre CDP Capital, four panellists from Alberta and Quebec will gather for an hour-long discussion about potential opportunities as well as each province’s situation in terms of innovation andtechnology. This is a unique opportunity for 75 Quebec guests—leaders in their respective fields—and the 50 members of the Alberta delegation to develop new business relationships and build collaborative ventures. A cocktail reception will follow the meeting on the Parquet of the CDP Centre. The panellists are Ian Jeffrey (Quebec), general manager at FounderFuel, Martin Duchaine (Quebec), CEO of Capital Innovation, Andrew Exner (Alberta), Director of Commercialization Programs at Tecterra Inc. andChris Lumb (Alberta), CEO of TEC Edmonton. 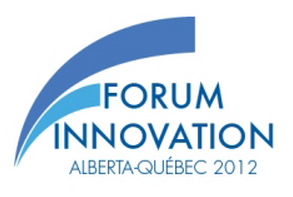 The Alberta–Quebec Innovation Forum is an excellent opportunity to meet potential investors, prestigious delegates and possible partners, as well as to discover new markets with the key players of Alberta, a province known for its continually expanding economic growth. Montreal is renowned for its innovation and for the strength of its technology hub, while Alberta also boasts a strong tech industry over and above its booming energy sector. AEG is a non-profit organization committed to promoting Alberta’s economic development. It represents companies which collectively employ more than 50,000 people and generate billions in economic activity each year.